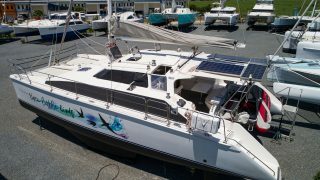 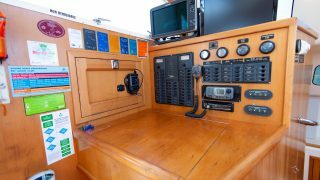 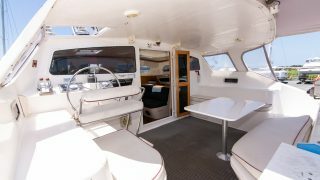 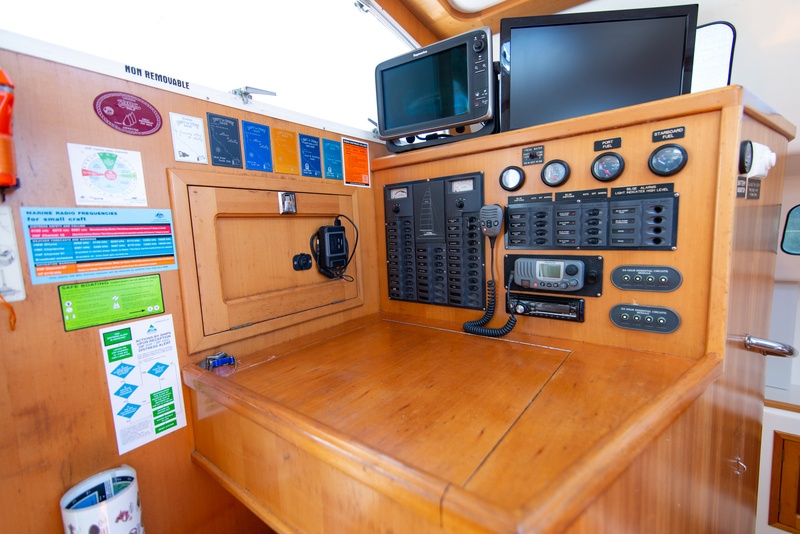 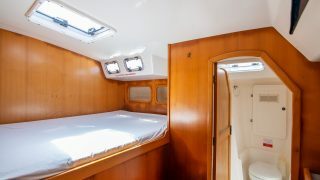 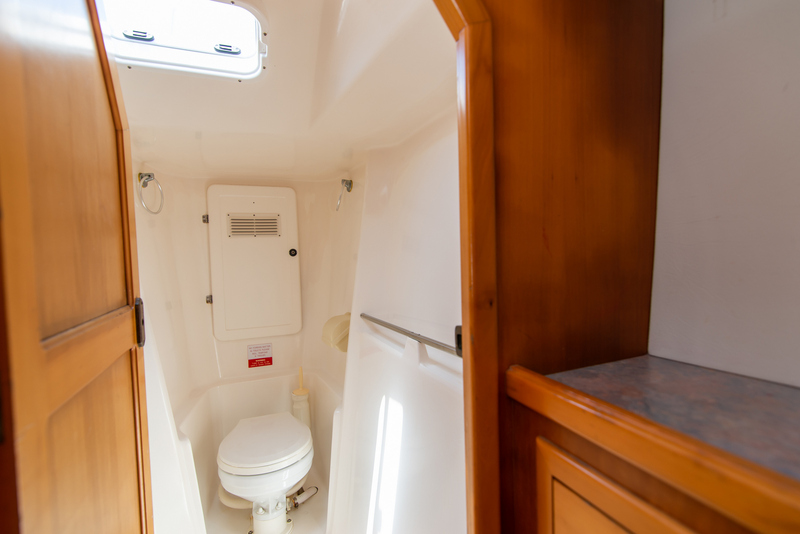 Check out this great example of a Perry 43 built in 1999 and very well maintained since. 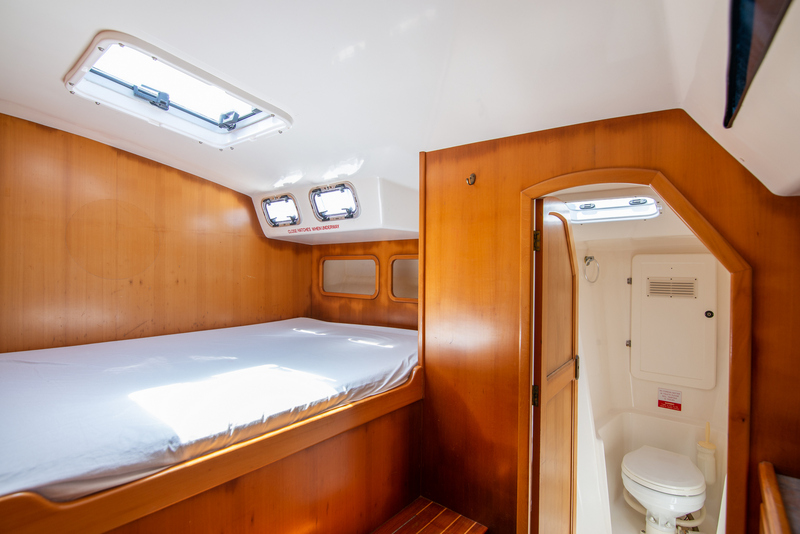 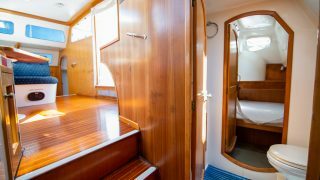 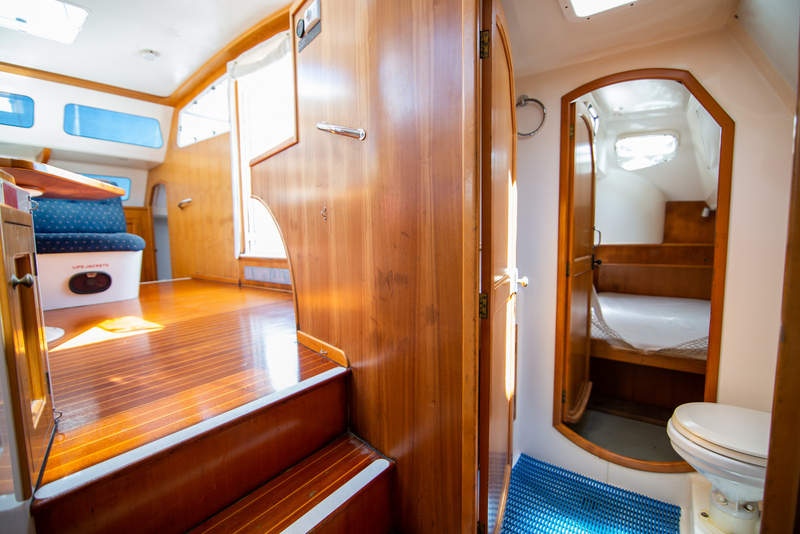 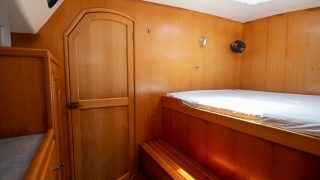 Boasting a classic timber finish interior with comfortable sleeping accommodation, this Perry 43 is ideal for blue water or coastal cruising. 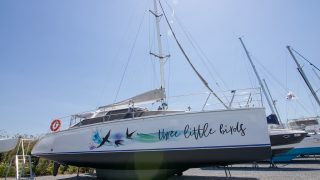 Three Little Birds is a four-cabin layout, featuring a large saloon with excellent 360-degree sea views. 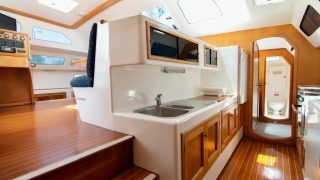 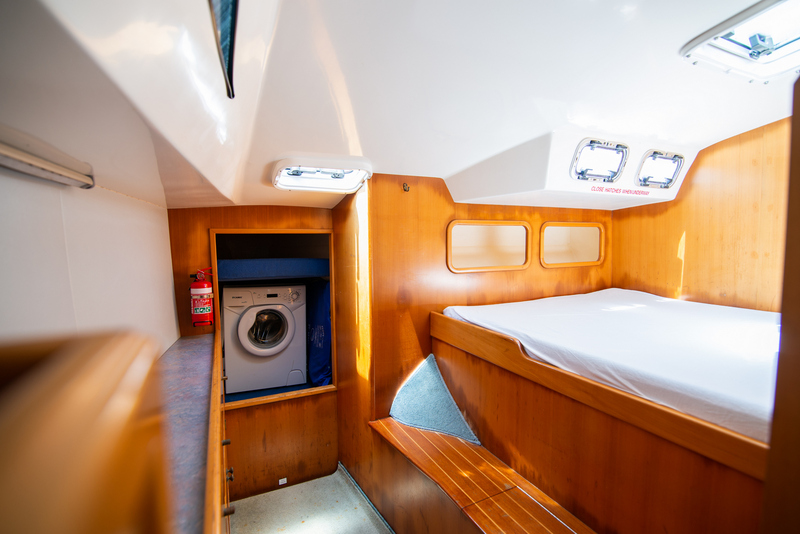 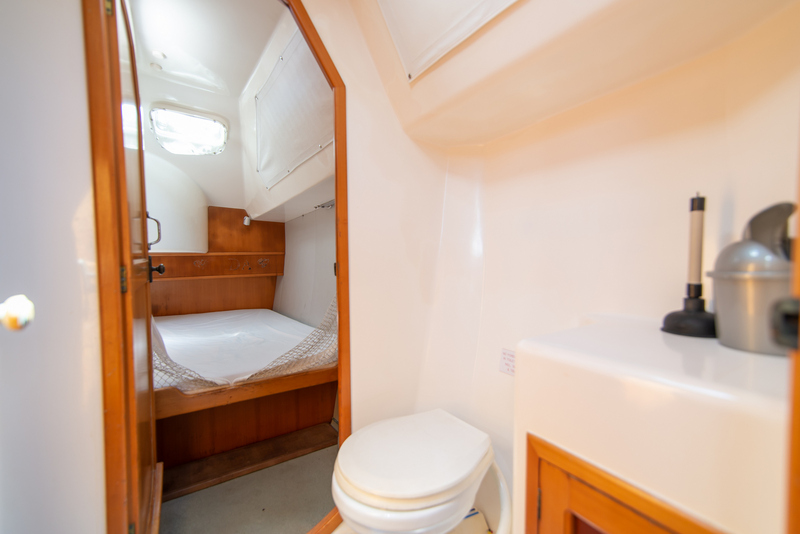 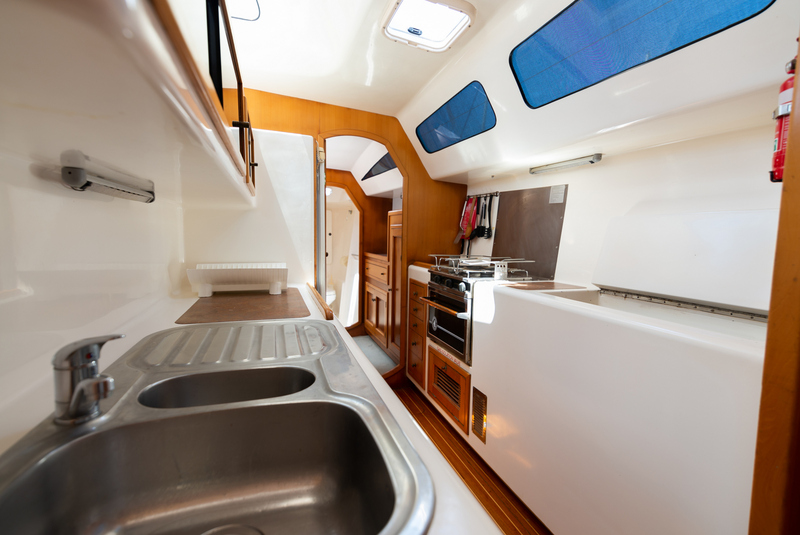 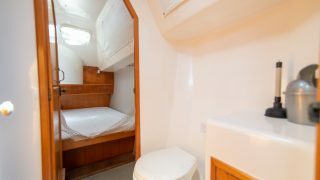 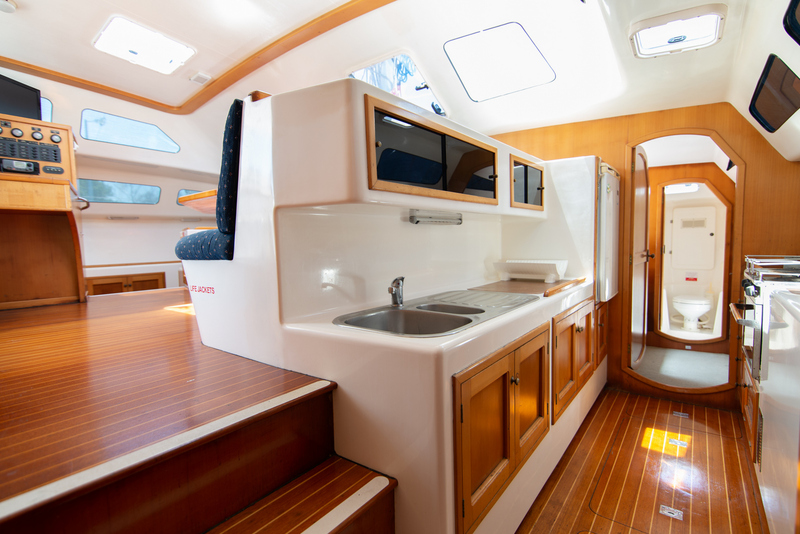 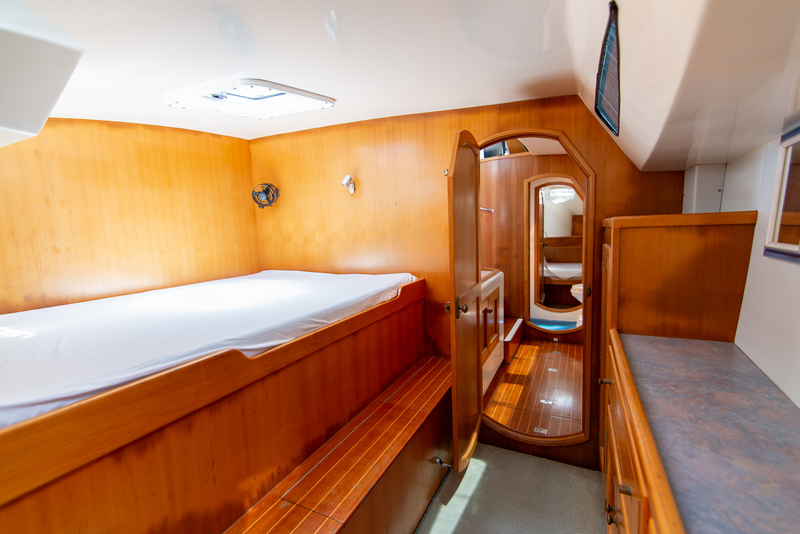 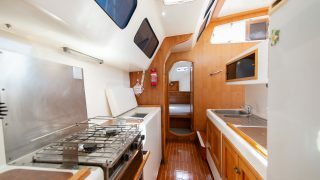 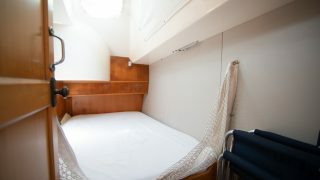 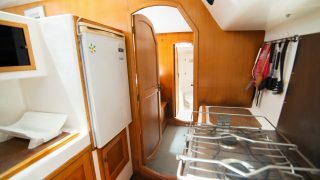 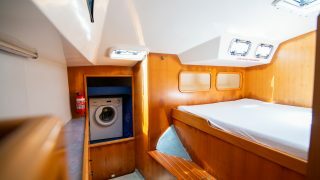 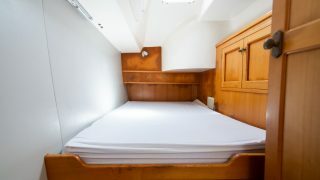 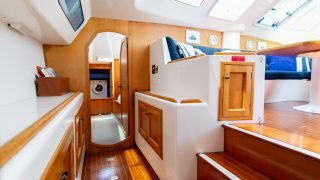 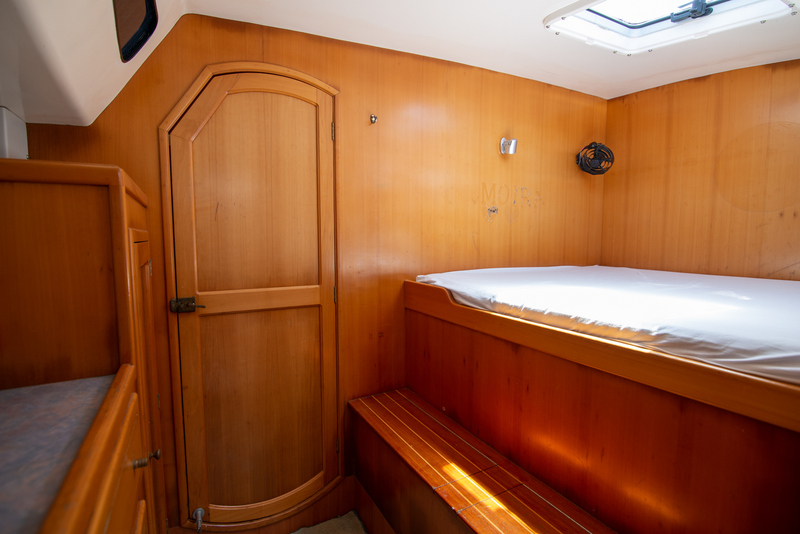 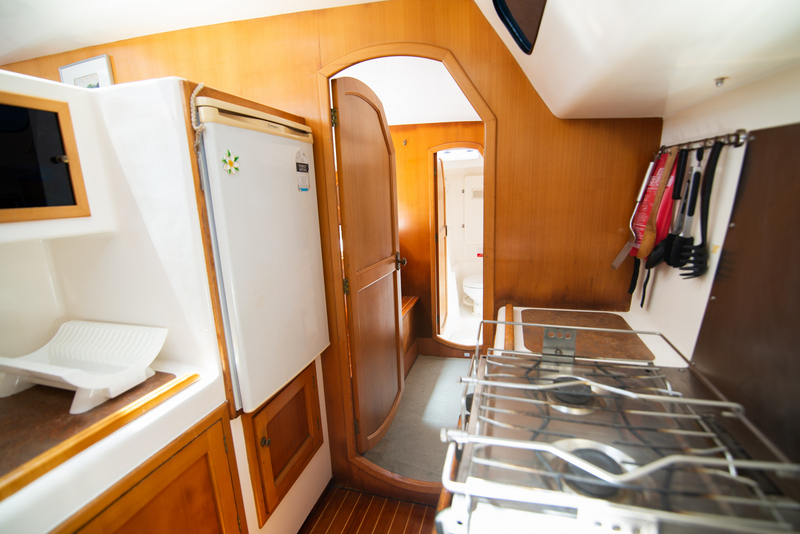 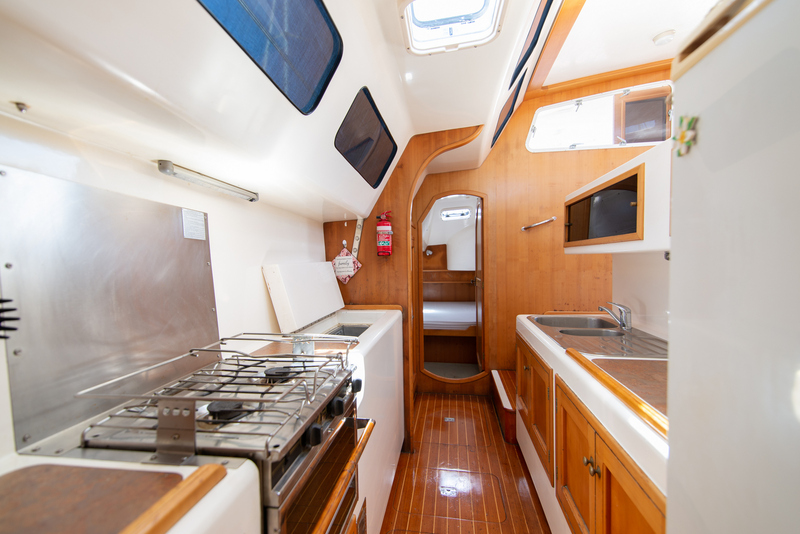 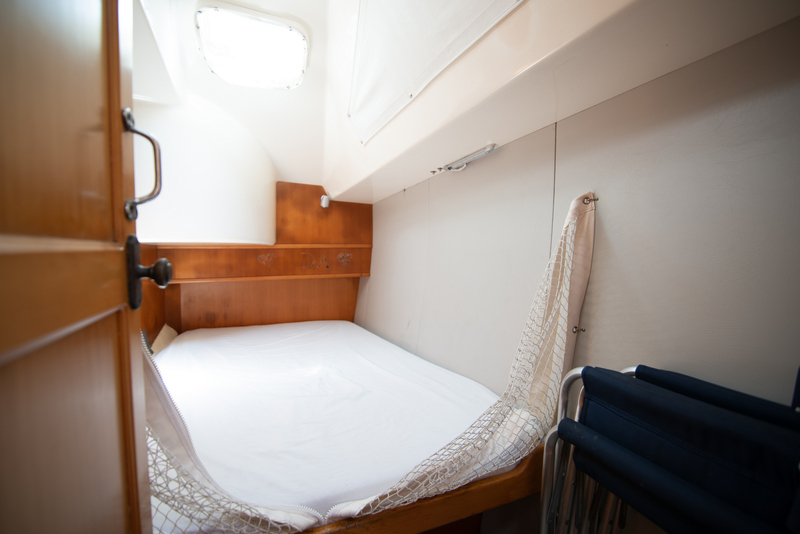 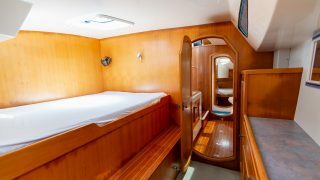 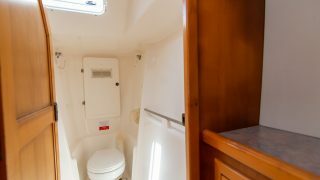 Her efficient galley down is equipped with a front opening 95L fridge and 40L top-opening freezer, a Broadwater gas stove, as well as a double sink with good food preparation space. 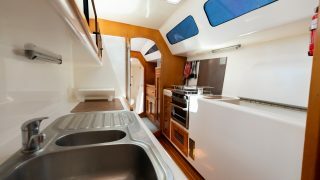 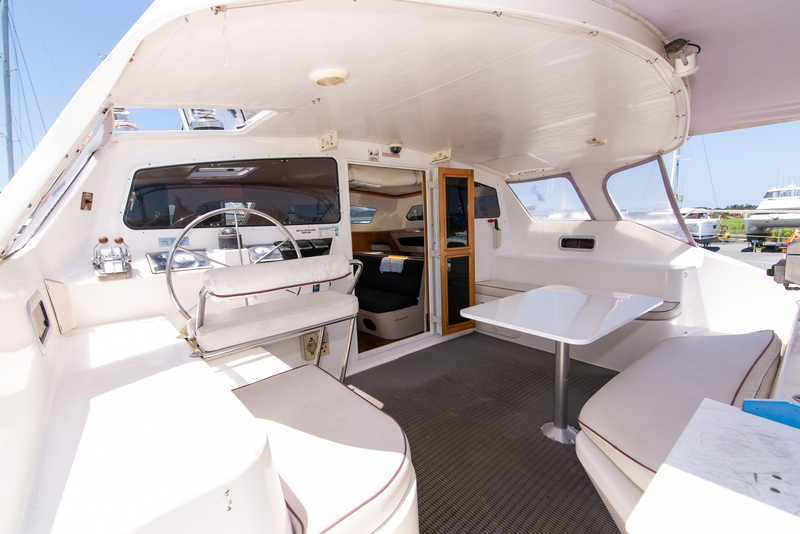 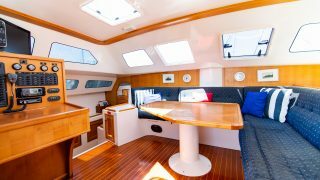 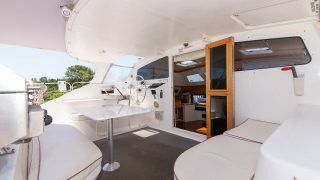 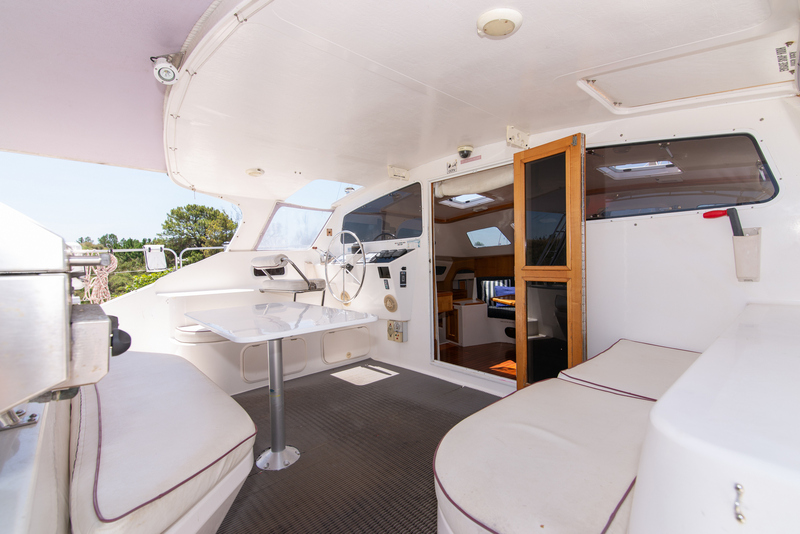 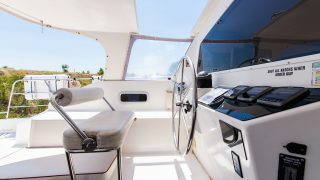 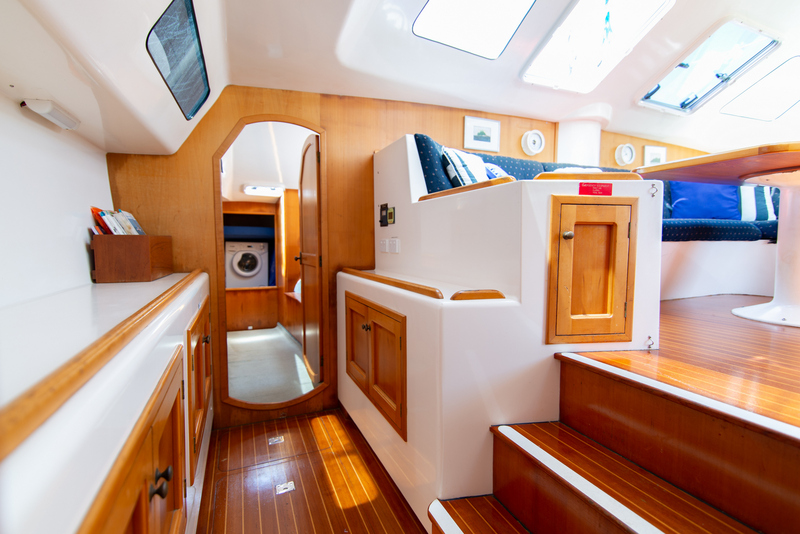 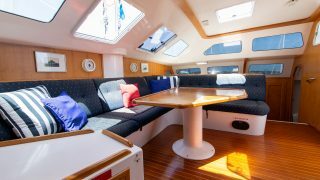 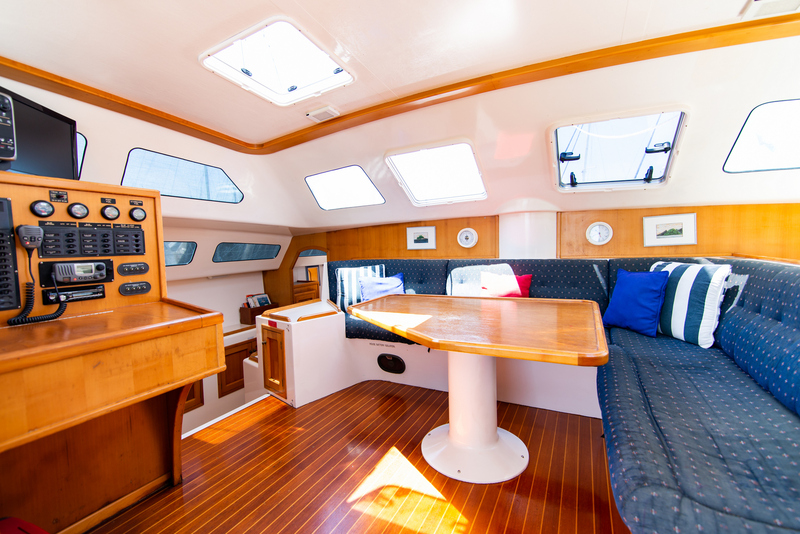 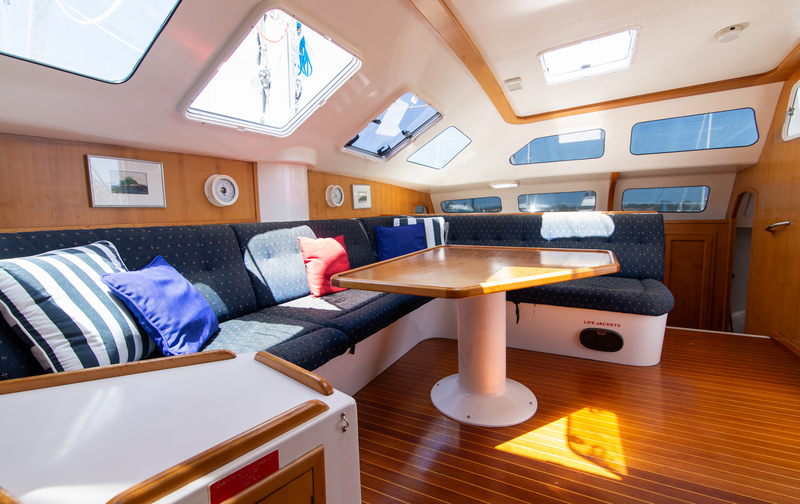 She features a large well-protected cockpit with hardtop and plenty of space for entertaining family and friends. 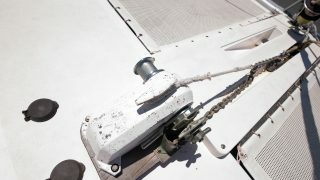 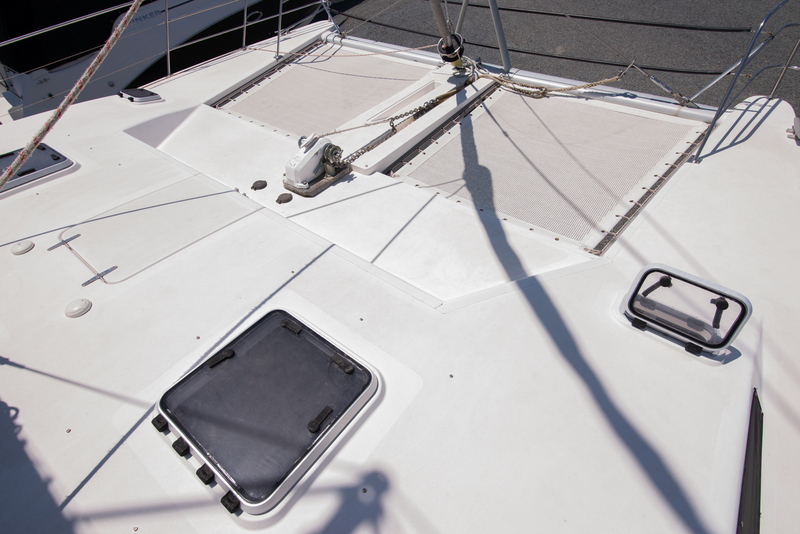 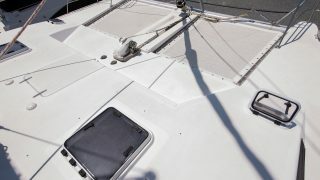 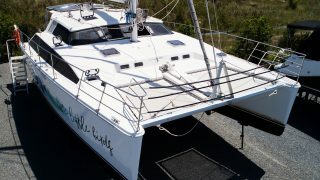 Her wide side decks offer safe access forward and aft. 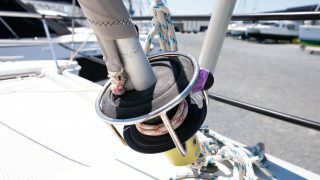 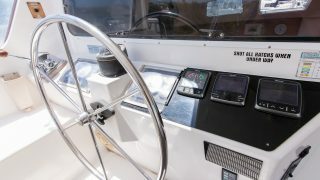 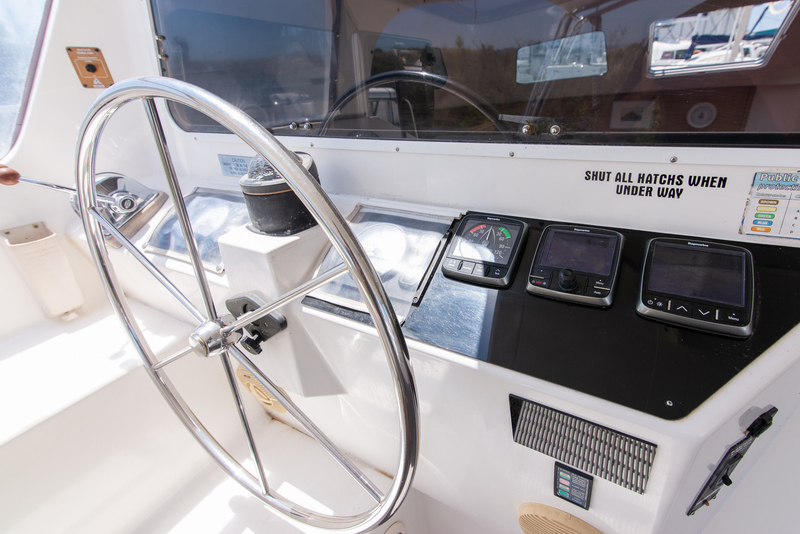 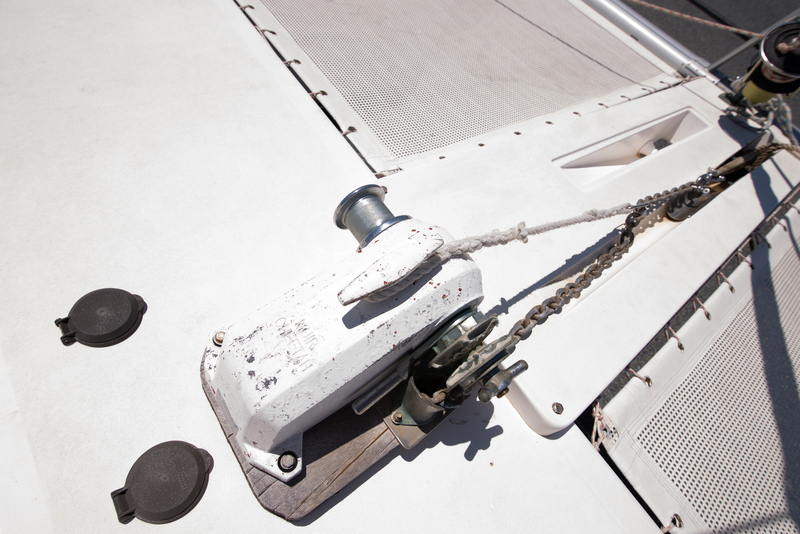 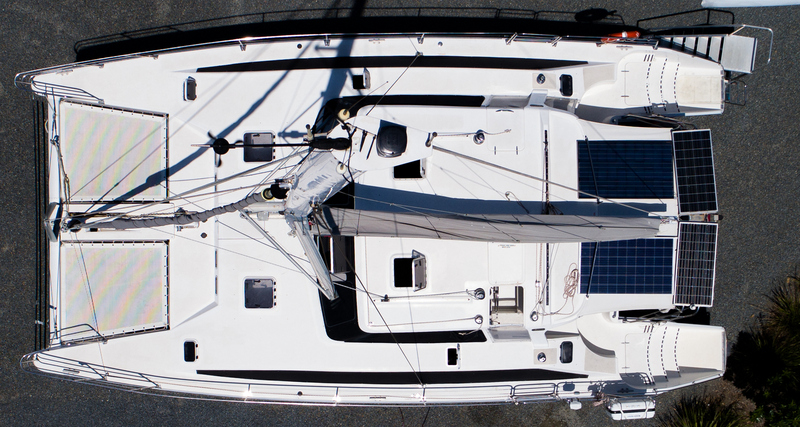 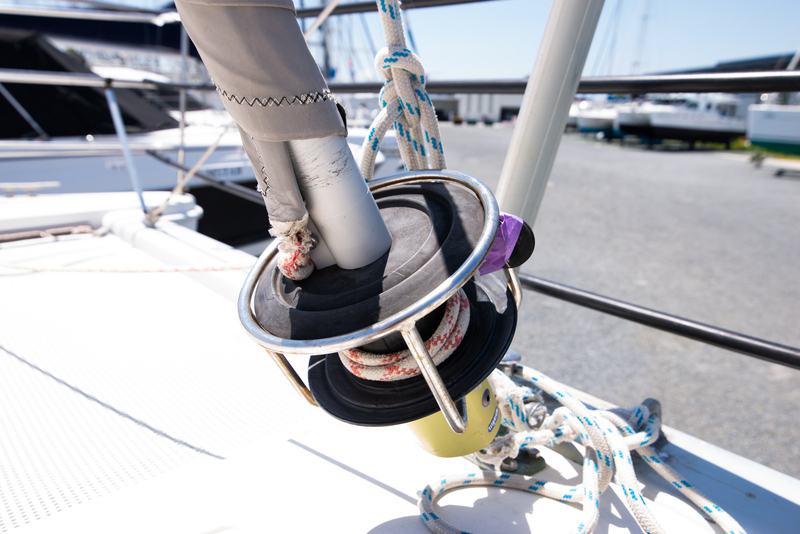 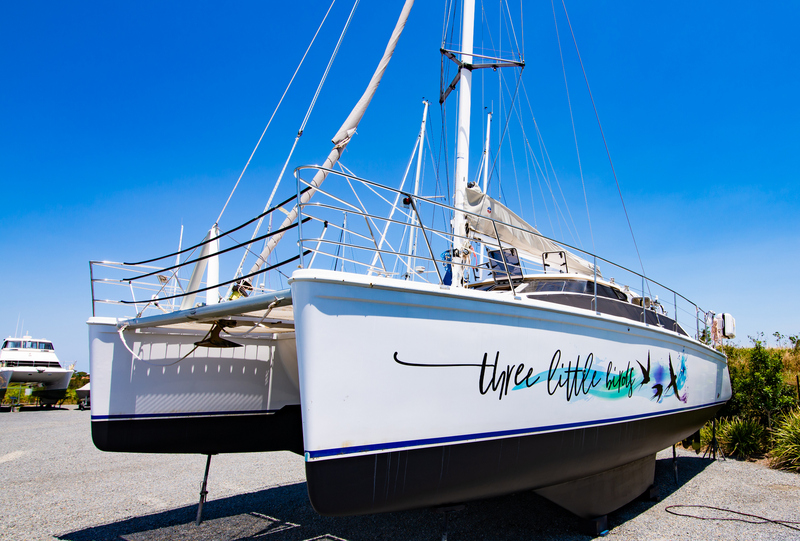 Three Little Birds has a well-planned steering station and simple sail control systems. 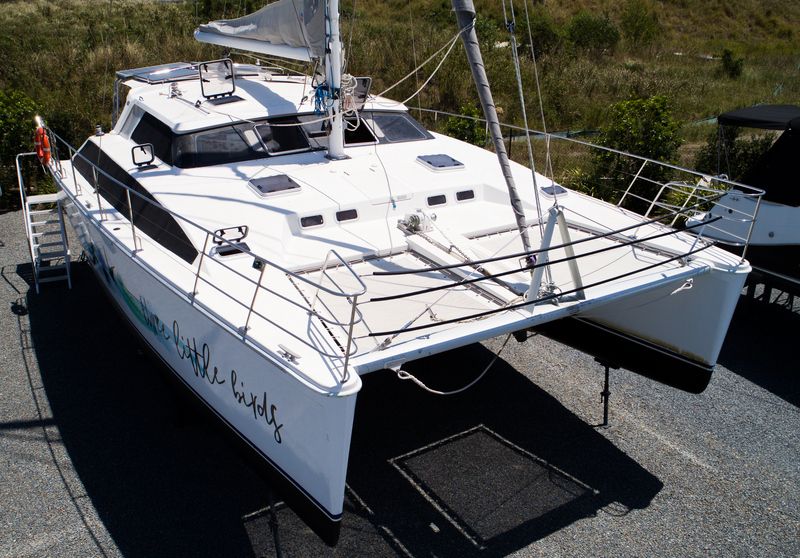 She offers a stimulating performance under sail or power. 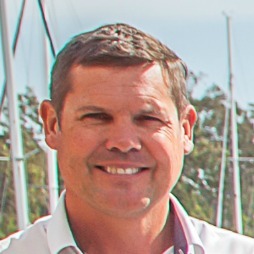 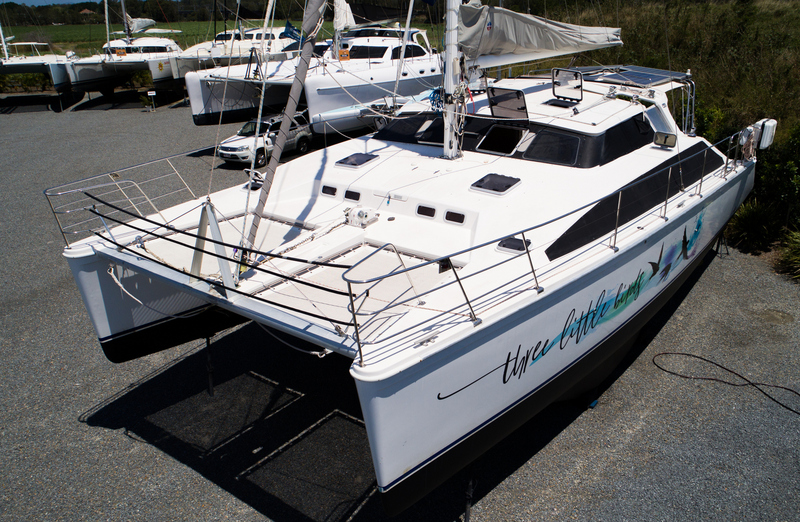 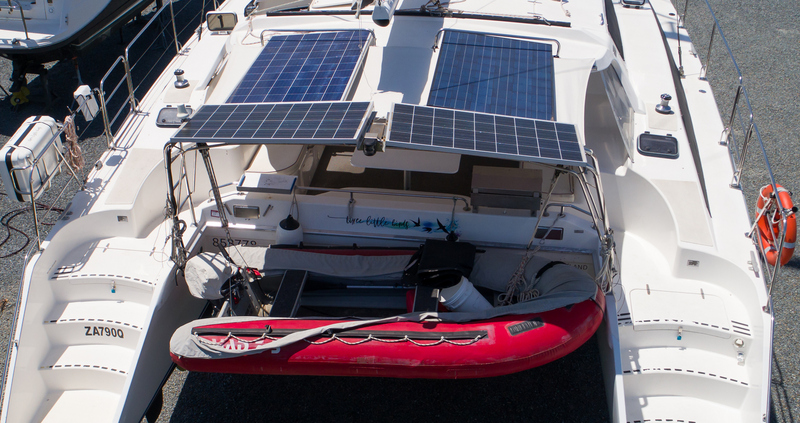 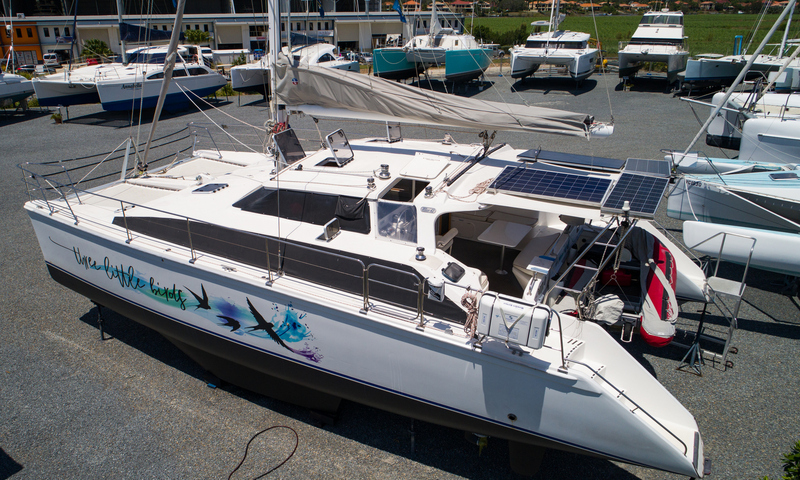 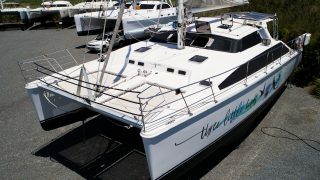 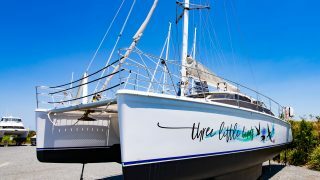 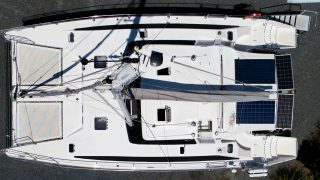 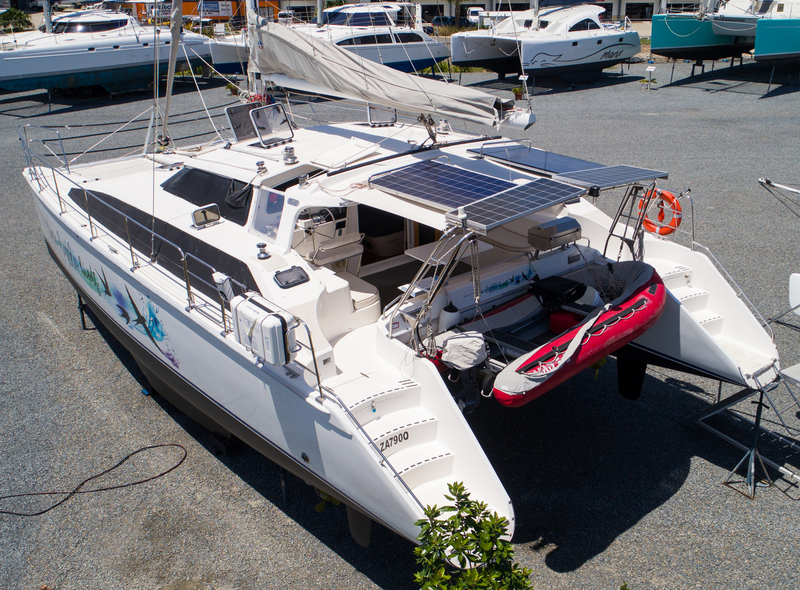 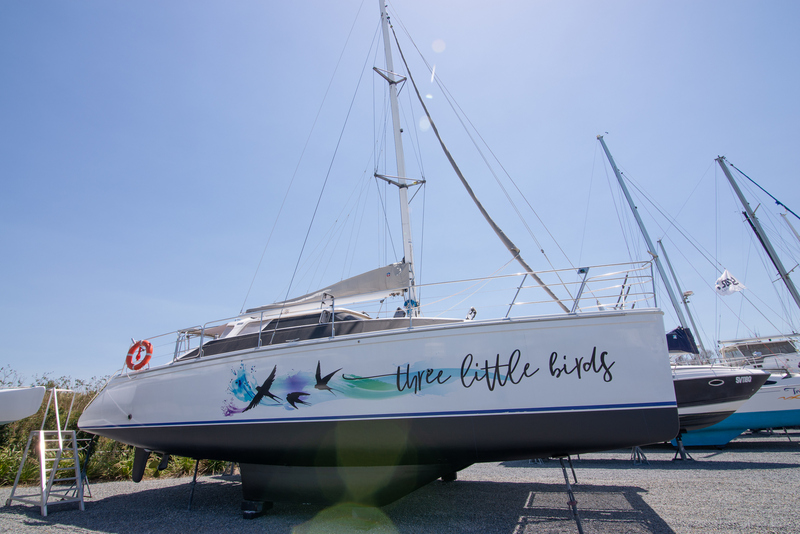 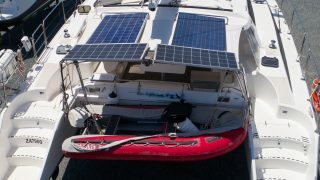 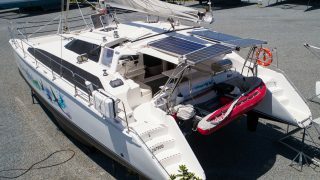 Three Little Birds is located at the Multihull Solutions Gold Coast Sales Centre at The Boat Works in Coomera, and can be inspected by contacting Kelvin on 0430 941 585.